I get calls all the time from people interested in OneOnOne Personal Training, Online Personal Training, and Small Group (Semi-Private) Personal Training who say: “I eat healthy and exercise all the time but still seem to gain weight and body fat…and I don’t know why??”. I also get this from clients time to time who fall back into the same old ruts. Well let me tell you….they are lying! Maybe not intentionally or consciously but they are absolutely not telling the truth! No one is getting “Obese” or Fat from eating Lean Proteins, Good Carbohydrates, Good Fats, Fruits, Vegetables, and Water!! Even if you are overeating too much of these you will not get Obese, but maybe gain a few pounds. Carbs are NOT the Enemy! No One has ever gotten Obese from eating too much whole grain bread and oatmeal! Fruits are NOT the Enemy! No one has ever gotten Obese from eating too many Fruits! Dairy is NOT the Enemy! No dairy farmer has ever gotten Obese from his cow’s milk ever! Wake Up and stop the Excuses! We get Obese from skipping meals like breakfast, eating junk in excess, mal nourishing our bodies, being lazy, lack of sleep/rest, high stress, and lack of control and self-discipline. Honestly if we all ate healthy foods such as lean proteins, complex carbohydrates, fruits, vegetables, low fat dairy, and water all the time plus were active throughout our day and Not LAZY then we really wouldn’t have an “Obesity” issue in America. We maybe, just maybe would have a small “Over Weight” issue but that’s it and that would be directly related to over-eating too much healthy foods maybe at night before bed and/or linked to Laziness too…maybe. I coined a term “Fat Mapping” over a decade ago referring to how we Map to find out when, where, how, and why we became Fat. You see, I honestly cannot blame anyone else, my thyroid, the environment, gluten, dairy, the President, NO ONE but MYSELF for why I became FAT at 305 pounds as a teenager. 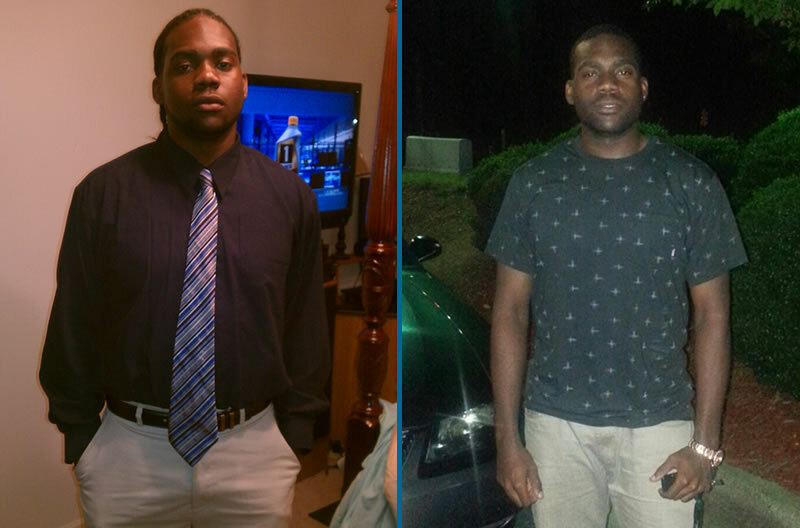 I am able to go back and map out where I went from sort of normal size, to chubby, to “Obese”! It was my own fault, my doing and only I could do the Un-Doing! 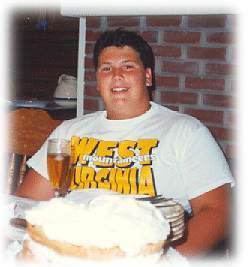 At my peak Obese weight of 305+ pounds I was skipping breakfast, sometimes skipping lunch, then maybe having a Mountain Dew and Honeybun after school or before football practice, then heading out to play sports until I was 16yrs old which my driver’s license made me lazier and I put away my bicycle then also my processed junk food, parties with friends and late night over-eating right before bed would be most of my caloric intake at night for my whole day then I may sleep only a few hours. I was a walking heart attack waiting to happen! My choices were leading to my demise! When I have prospective Clients call in the first thing I do is ask them what their daily diet/nutrition is like after most of them say they don’t know why they gaining fat. Every time I map this out for them and for existing clients that get off track they all see their errors. Once we can highlight mistakes, have the person accept responsibility, only then we can begin work on fixing those areas and getting back on a Healthy track! Do your own Fat Mapping. Take a few days, maybe 3-5 days, and write down everything you eat and do. Please be honest with yourself or you will fail. 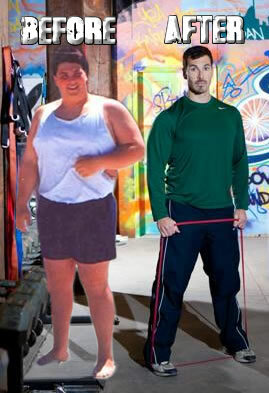 If you lie to yourself you are only hurting yourself and prolonging the agony of Obesity and being Un-Healthy. After you have done this, and seen where you may be snacking on chocolate, sneaking a soda, over consuming diet sodas, too many high calorie meals out with friends, skipping breakfast or other meals, excessive alcohol consumption, junk foods, processed trans-fat foods, laziness, lack of exercise, little sleep, high stress, and more bad habits injected daily here and there, then please accept your personal wrong doing and correct these behaviors. 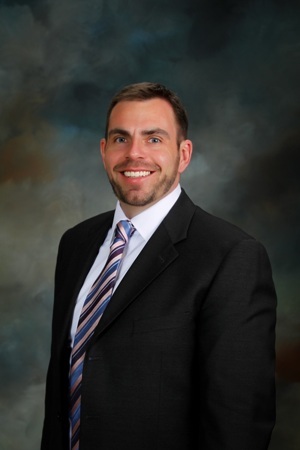 This article sponsored by my friend and client Cardiologist Dr. Kevin Lingle of Cardiology Consultants of Danville, Virginia! Thank you Kevin! *Stretch before, during, and after each of your workouts! Varicose Veins and How To Treat Them! I have known so many family members, friends, and acquaintances that have struggled with Varicose Veins for years and usually have no clue what to do with them or even what they are. Most people including myself never really took the time to find out what they are, why people get them, and what to do about them personally or medically. I’ve also had so many women and men I’ve trained over the years who have been unaware of their conditions yet we knew that our exercise and stretching helped them but did not take their Varicose Veins away. Most people are self-conscious about having spider veins and tend to cover-up their legs a lot and are not comfortable going to the pool or beach in a swimsuit around others. Varicose Veins do negatively affect women and men socially and emotionally when they avoid fun and healthy activities like being outdoors in shorts or bathing suits. Some people with Varicose Veins are so self-conscious they do not like to wear shorts for even casual events, working out, or even at a family cookout. For years people have asked my professional option about their Spider Veins (Varicose Veins)… to which I really have had no good quality answer…well this lead me to speak with and question my good friend and client Cardiologist Dr. Kevin Lingle about this topic. I wanted to find out what the real deal was with Varicose Veins and now I’m sharing our Q & A! (Dave Gluhareff) Question: What are Varicose Veins? (Dr. Kevin Lingle) Answer: Varicose veins, spider veins, or reticular veins are bulging, visible veins on you lower legs. These are called different things based on the size of the vein and are usually the outward signs of venous insufficiency. (Dave Gluhareff) Question: Do you guys treat them? 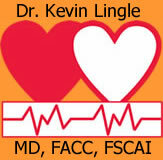 (Dr. Kevin Lingle) Answer: Once the diagnosis of “venous insufficiency” is made with an ultrasound there are several treatment options ranging from increased walking, compression stockings, Sclerotherapy (injections of small spider/reticular veins…the Ad’s you see in all women’s magazines), Phlebectomy, and venous ablation. The ultrasound for diagnosis and venous ablations are preformed at DRMC; however the Sclerotherapy is usually preformed in our office. All treatments are very low risk and are done as an outpatient…most patients even return to work right after the procedure. (Dave Gluhareff) Question: What is the best Treatment and Prevention for people to do at home? (Dr. Kevin Lingle) Answer: Best treatment for varicose veins is increased walking, running or anything that causes the calves to contract. Kevin and his family are active members at Union Church in Danville, VA where Kevin is co-leader for Union's Men's ministry plus he also teaches financial peace university (Dave Ramsey) at Union Church! His wife Kristin is the art director and head of the kid’s ministry at Union Church plus a full-time Mom to their son Jack. Is Exercise Really That Important? Yep!! Many of us have the following as the most common health problems: High Blood Pressure, Acid Reflux, High Cholesterol, Osteoarthritis, Arthritis, Diabetes/Sugar Regulation Issues, Fatigue, Osteoporosis, Joint Aches and Pains, and Being Overweight/Obesity, etc. Many times it seems barbaric that we have to go into a gym or fitness center and walk in place on treadmills, like hamsters on wheels, just to get moving. Many years ago we used to work on farms feeding and raising livestock and or tobacco. We used to do chores like washing our own laundry by hand then hanging it on the clothes line. We used to NOT have TV and Video Games so we would have to play outside using our imagination. I am 37 years old now but when I was little I did play outside a lot and run around and do some chores too. 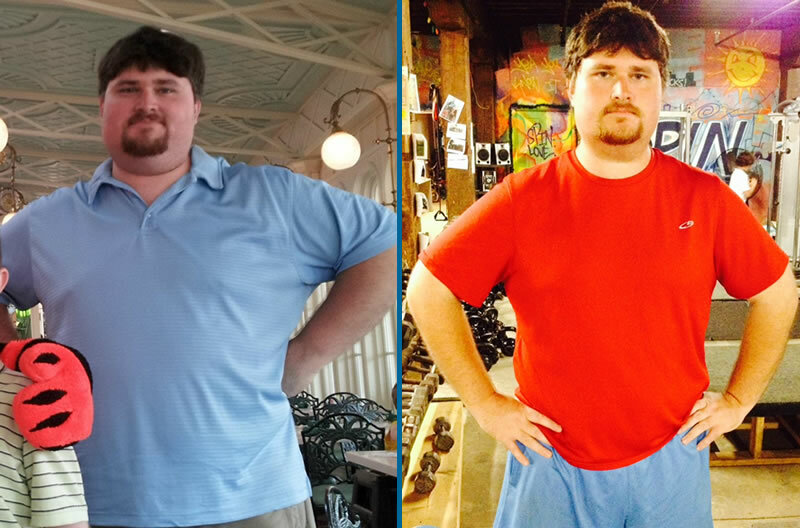 Though soon came VCR’s, video games, driving, and less running, playing, and riding bikes….I then became Obese and 305lbs as I became less active, ate more junk, and sometimes went all day eating nothing until dinner time. I became inactive and slowed my metabolism wayyyy down then consumed an enormous amount of junky calories right before bed leading to severe Obesity, low self confidence, and low self esteem. Nowadays to burn calories and strengthen muscles many of us must go to a gym down the street, Busy Men join my Small Group Fitness Classes, hire an experienced Personal Trainer like myself or workout in our basement and push weights, stretch rubber bands, or do crunches on large blown-up bouncing balls. Those of us that really have active jobs or play sports are in far better condition than the majority of people. Many of us are lazy today and would rather drive everywhere rather than walk, or reach through a window at a fast food restaurant to get food rather than prepare it ourselves, or turn on the TV and sit for hours instead of playing with our kids outside in the yard. Allergies- Exercise is one of the body's most efficient ways to control nasal congestion (and the accompanying discomfort of restricted nasal blood flow). Angina- Regular aerobic exercise dilates vessels, increasing blood flow— thereby improving your body's ability to extract oxygen from the bloodstream. Anxiety- Exercise triggers the release of mood-altering chemicals in the brain. Back Pain- Exercise helps to both strengthen the abdominal muscles and the lower back extensor muscles and stretch the hamstring muscles. Bursitis and Tendonitis- Exercise can strengthen the tendons— enabling them to handle greater loads without being injured. Cancer- Exercise helps you maintain your ideal body weight and helps keep your level of body fat to a minimum. Carpal Tunnel Syndrome- Exercise helps build up the muscles in your wrists and forearms— thereby reducing the stress on your arms, elbows, and hands. Constipation- Exercise helps strengthen the abdominal muscles, thereby making it easier to pass a stool. Depression- Exercise helps speed metabolism and deliver more oxygen to the brain; the improved level of circulation in the brain tends to enhance your mood. Diabetes- Exercise helps lower excess blood sugar levels, strengthen your muscles and heart, improve your circulation, and reduce stress. Fatigue- Exercise can help alleviate the fatigue-causing effects of stress, poor circulation and blood oxygenation, bad posture, and poor breathing habits. Glaucoma- Exercise helps relieve intraocular hypertension— the pressure buildup on the eyeball that heralds the onset of glaucoma. Heart Disease- Exercise helps promote many changes that collectively lower your risk of heart disease— a decrease in body fat, a decrease in LDL, an increase in the efficiency of the heart and lungs, a decrease in blood pressure, and a lowered heart rate. High Blood Pressure- Exercise reduces the level of stress-related chemicals in the bloodstream that constrict arteries and veins, increases the release of endorphins, raises the level of HDL in the bloodstream, lowers your resting heart rate (over time), improves the responsiveness of your blood vessels (over time), and helps reduce your blood pressure by keeping you leaner. Insomnia- Exercise helps reduce muscular tension and stress. Intermittent Claudication- Exercise helps improve peripheral circulation and increase your ability to tolerate pain. Knee Problems- Exercise helps strengthen the structures attendant to the knee— muscles, tendons, and ligaments— thereby facilitating the ability of the knee to withstand stress. Lung Disease- Exercise helps strengthen the muscles associated with breathing and helps boost the oxygen level in your blood. Memory Problems- Exercise helps to improve your cognitive ability by increasing the blood and oxygen flow to your brain. Menstrual Problems and PMS- Exercise helps to control the hormonal imbalances often associated with PMS by increasing the release of beta-endorphins. Osteoporosis- Exercise promotes bone density— thereby lowering an individual's risk of suffering a bone fracture. Overweight Problems- Exercise suppresses your appetite, increases your metabolic rate, burns fat, increases lean muscle mass, and improves your level of self-esteem. Varicose Veins- Exercise can help control the level of discomfort caused by existing varicose veins and help you prevent getting any additional varicose veins. So get outside and take a walk with your spouse or friend and kids, get a gym membership, hire a Personal Fitness Trainer, canoe in a river, swim at the YMCA or a fitness center, try my Small Mens Fitness Groups, park farther away from the front door of a store, save money by taking a few minutes to prepare your meals, take the steps instead of the escalator, bike instead of drive, or find some other form of exercise to help you enjoy your life more and make it so much healthier! 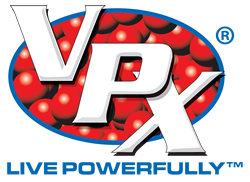 A Special Thank You to some of my sponsors (Dr. Kevin Lingle – Cardiologist in Cardiology Consultants of Danville, Virginia 1 (434) 791-1088 Ext 301) & (VPX Sports / Redline Energy Drinks – www.VPXSports.com) for their continued support in me writing these articles and publishing Free information to my readers of www.TrainWithDave.com!! The Busiest of Busy Men can get into Great Shape! I have always specialized in fitness training and planning for busy professional men for nearly 20 years. These guys have careers such as high level Executives, Ministers, CEO’s, VP’s, Attorneys, business owners, Contractors, City Officials, Politicians, Real Estate Brokers, Doctors, Stock Brokers, Surgeons, and more demanding occupations. Are these people busy? Sure without a doubt…but so am I. Do these people also have families? Sure…but so do I. The reasons I’ve always helped them succeed is because I help them be problem solvers and trouble shooters with their own health. We’ve made their health a priority. I take no Excuses about getting into Exercising and Getting Active and I don’t care who they, what they are worth financially, or how busy of a schedule. They are paying me to be honest and get them on track not to enable their dysfunctional, lazy, and un-healthy choices anymore. If you care about someone or something then you will do whatever it takes to take care of him/her or it. If you truly care about your health and your value as a person and what you mean to your kids, family, friends, and work then you will do what’s necessary to get healthy. I always accommodate my clients’ schedules to make sure they do not use my schedule as an excuse if they are on-call, have an emergency, last minute meeting pops-up, or family events. I will meet before, during, or after and on holidays to ensure the success of my clients. For example sometimes it means me going to a Neurosurgeons’ house while he is on call to do our workout close by his house in case of emergency. I do respect having to stop mid-jog and let him take a phone call from a patient or family member dealing with a life or death decision. But then we resume our workout if he doesn’t have to leave. In regards to eating right and Proper Nutrition well that’s really a no-brainer! Once you begin getting active and exercising regularly then the eating healthy should be an easy next step. Why waste time being active then go home to a dozen doughnuts or junk food. If you are paying me then why would you waste the money with me to go cheat 24/7 on your diet? Once you begin exercising regularly it puts a guilt trip on your stomach to want to make healthy food and drink choices. 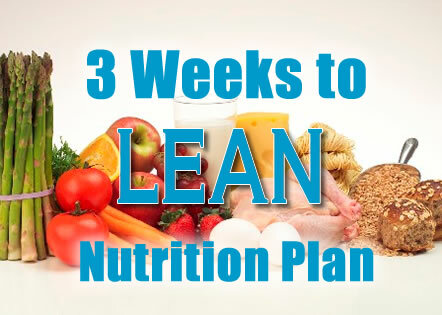 Go to www.TrainWithDave.comand click on Nutrition Plan for my “Free” plan my clients and readers use all the time! Getting plenty of rest is hard for busy and productive people but once they force themselves to get into a good sleep groove each night of 6-8 hours they begin to feel better. Next I have my clients and readers focus on getting a nap in the daytime if possible for 30-90 minutes on a lunch break or any break for that matter. Sleep is so very important to them being effective as businessmen and productive employees. Once my clients get Exercise, Nutrition, and Rest on a structured schedule they immediately lower their Stress, Lose Body Fat, Lose inches, lower their Cholesterol, regulate their Sugar, lower Blood Pressure, get rid of Heart Burn/Acid Reflux, and just become more positive and confident. I have to brag on a couple busy clients for a minute: Jamie Williford and Kevin Lingle! Jamie Williford is an Associate Minister at my Church “West Main Baptist Church” and also the Chaplain at Averett University. He’s a Middle Boarder Fellow, on the board of Von Wellington Film School, has tons of random meetings and counseling sessions weekly, goes away on mission trips with our congregation (taking some exercise equip along J), plus he’s married and finds time to commute weekly to see his awesome wife Hannah who is in PA (Physicians Assistant) school out of town. Jamie started with me thin but soft with little muscle tone or definition. Now he’s lean and ripped sporting six-pack abs and honestly one of the most athletic looking physiques most people will ever see. 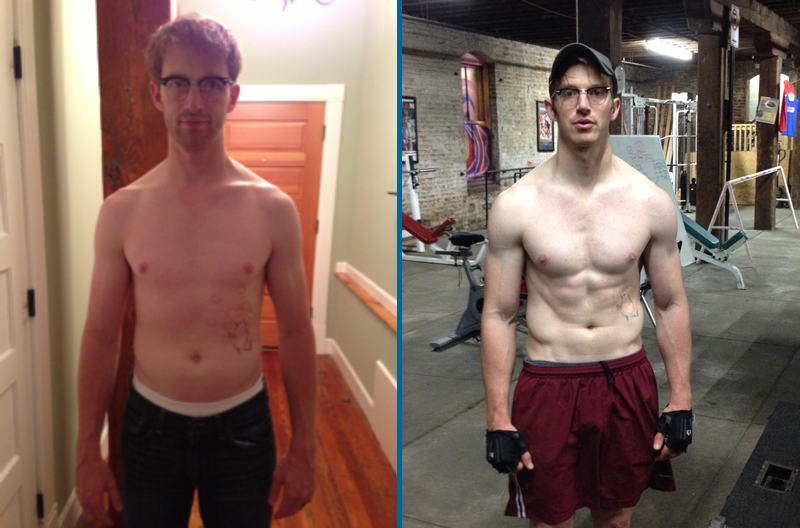 He’s put on some quality muscle and kept his body fat low all the while getting faster, stronger, better endurance, and more agile. He’s become an exceptional client and friend. 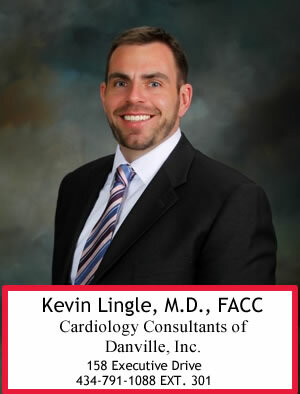 Kevin Lingle is a newer Cardiologist here in Danville, Virginia for Cardiology Consultants of Danville. He’s slammed busy with being a Doctor, Father, active leading programs in his Church “Union Church”, a Husband, and also finds time for himself almost daily to follow my workouts and keep healthy. Kevin may see me at my facility or go to his gym closer to his work if he’s short on time and then will ask for workouts. If there’s a question he immediately texts me and I get him on track. 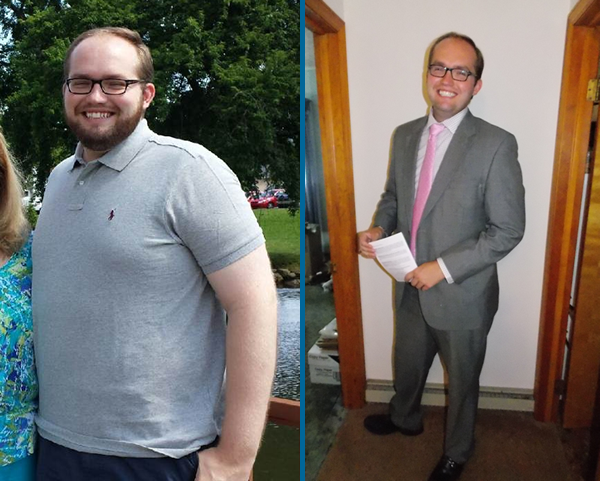 He never makes excuses about practicing what he teaches his patients each week by staying active, eating right, and fitting in enough rest even with a busy on-call Doctor schedule! Kevin has become an exceptional client and friend also. These clients are exceptional in following my lead and direction but in all honesty all my clients and readers are exceptional because they are serious about positively changing their lives. My clients, no matter how busy they are, get results. My job is to hold them accountable and keep them focused and sticking to the plans we make together. I don’t accept my own excuses so I cannot in good faith accept theirs when it comes to getting them healthy and prolonging their lives. 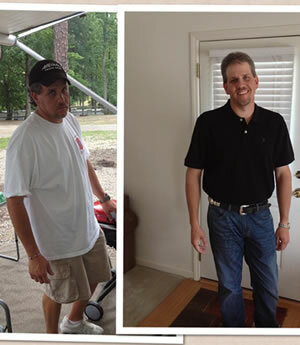 Visit this link from my main site for tons of before/after pics, testimonials, and success stories - http://www.trainwithdave.com/success-stories/what-clients-are-saying!! 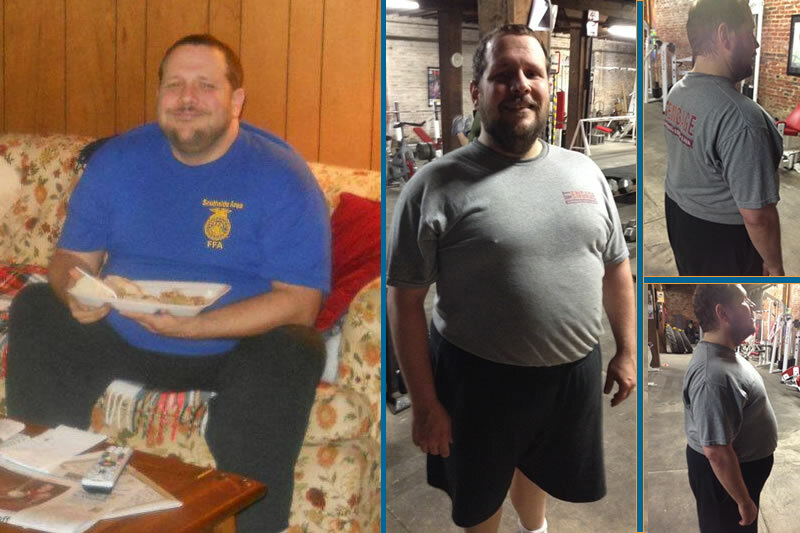 Here are more real life before/after pics of Busy Men I train who make no excuses and are positively changing their own lives!! Way to go guys! 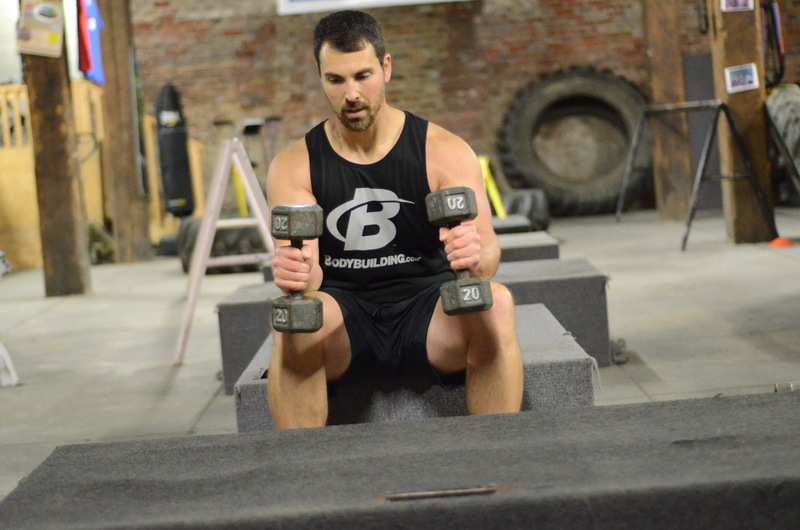 I see Elbow & Forearm pain all the time athletes I begin working with such as OCR Racers, Golfers, Tennis Players, Baseball Players, Gymnasts, and even regular Non-Athletes such as stay at home Moms, brick layers, gardeners, and librarians! What is it?Well most commonly it's a form of Tendonitis such as Tennis Elbow (pain top/outside of the forearm/elbow) and or Golfers Elbow (pain on the inside/lower of the elbow). Without getting too technical with descriptions and anatomy just know you probably have it if you have pain inside or atop your elbow and many times the pain moves into the forearm and wrist. If you are an OCR Athlete you would really notice this pain Racing when climbing over walls, monkey bars, rope climbs, pulls, and more. The pain can get very severe and radiate from our elbows to our forearms to our wrists and hands. 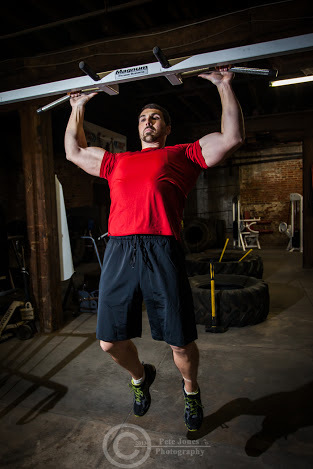 In training you would notice in pullups, climbs, grabbing barbells, gripping, etc. Why does it happen?Well most of the medical community will say these pains stem from "over-use" and I do not agree. I believe the pain stems from you or I not being conditioned enough period. We as a human race have become lazy and when most of the medical community says overuse from Tennis or Golf playing well I think that's absurd. If our bodies can't take a few hours of Tenni, Golf, Gardening, etc then the real issue is we are De-Conditioned (Not Conditioned). 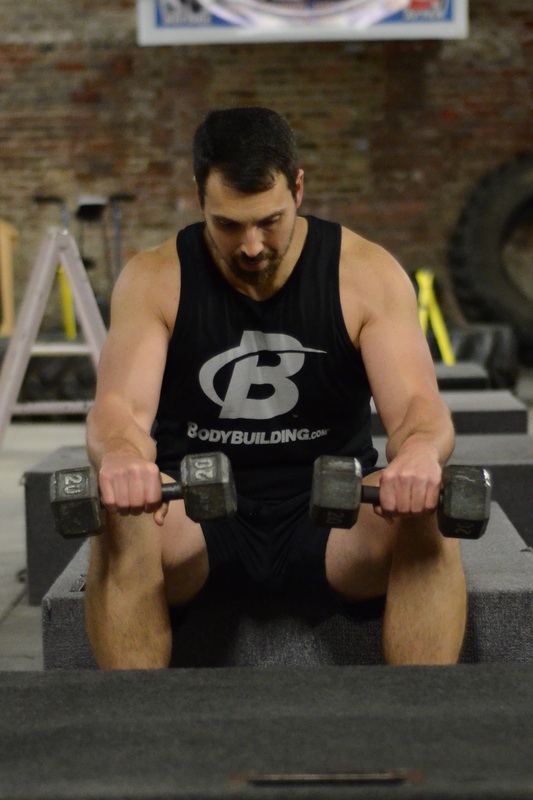 How do we fix and preven Elbow and Forearm pain?The absolute best prevention and fix in my opinion and it's worked with myself and my Athletes and clients for almost 20 years is to begin strengthening the top, inside, and bottom of our forearms to be ready for what we are going to put them through. 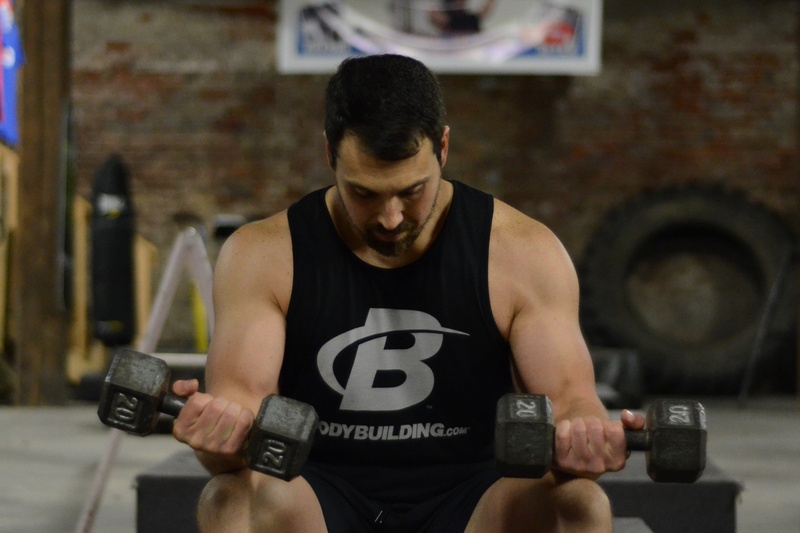 I like to use dumbbells the best and I incorporate these exercises into my warmup 2-3 times weekly with at least a day or two off like I give each of my muscles anyways to rest, recover, heal, grow stronger, and get more conditioned. 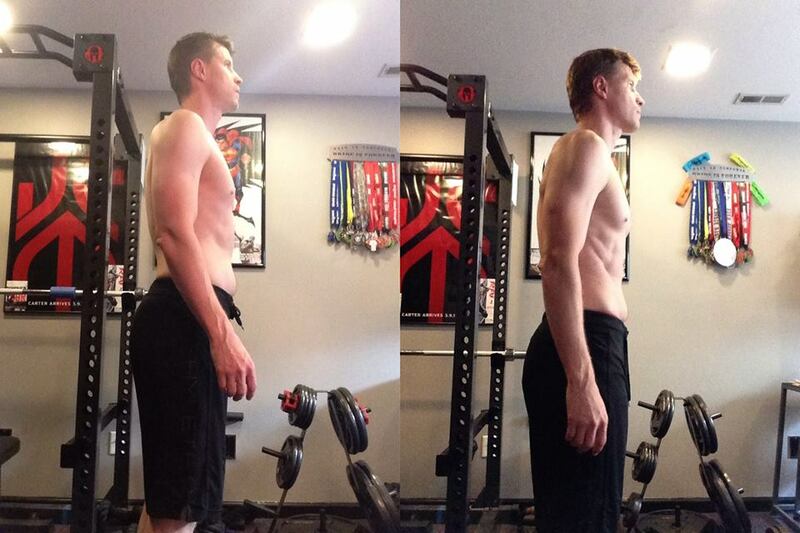 You need to start lite with maybe 5lb-10lb weights and do 2-3 sets of palms-down (works top/middle & top/right of forearms), palms-facing each other (Not shown in video but Yes shown in pics - works top/left of forearms), and palms-up (works inside of forearm). * Clothing provided by Bodybuilding.com! Pictures taken at Dave Gluhareff's Danville, Virginia training facility! Photo credits to the infamous and patient Mary-Whitt Jones! 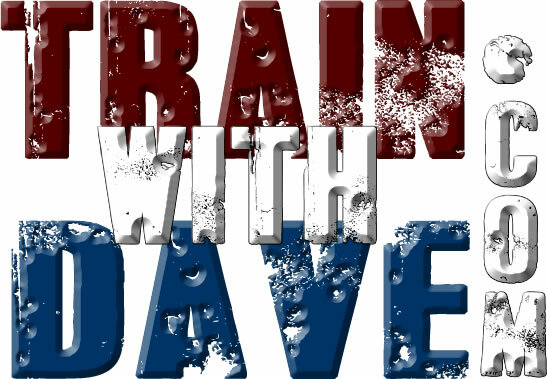 *For Dave's FREE Nutrition plan please visit - http://www.trainwithdave.com/nutrition !! The Absurdity and Problems I have with Diets! Fitness Heals & Makes Us Better!